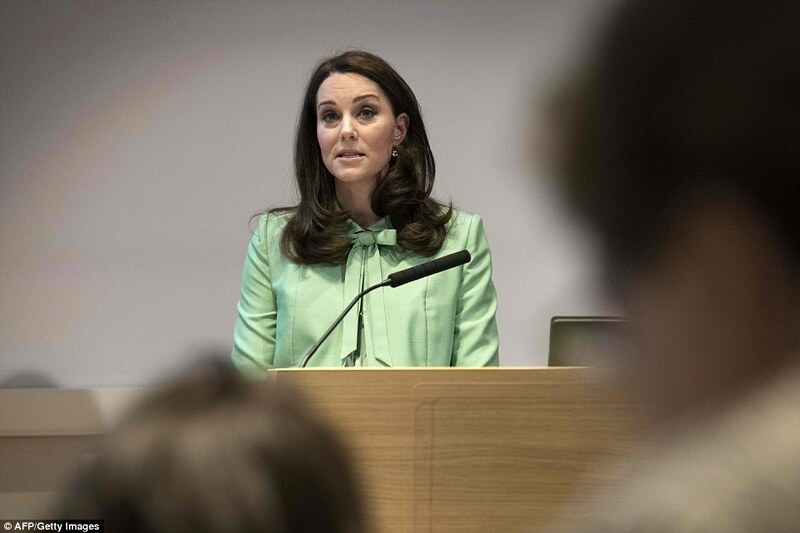 Pregnant with the third royal baby, the Duchess of Cambridge, Kate Middleton looked an absolute delight as she attended the child mental health symposium in London. 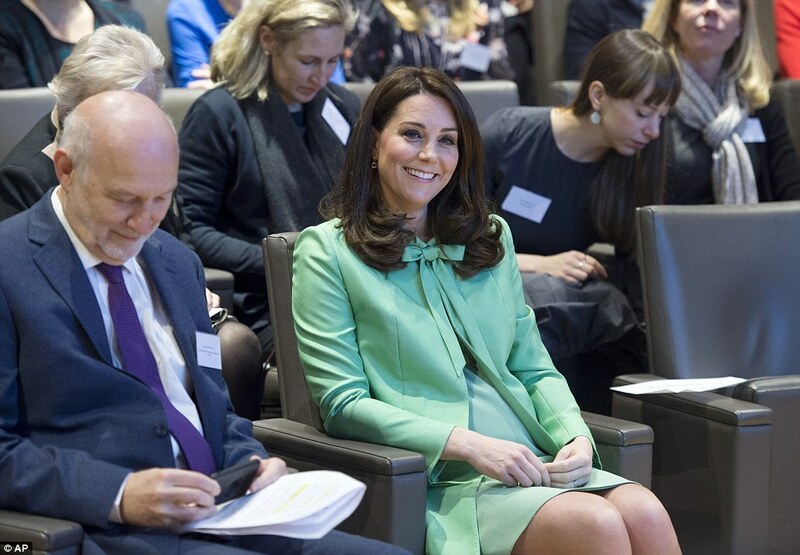 The 36 year old Duchess was a blooming vision as she wore a mint green Jenny Packham bespoke coat-dress, featuring a bow detail at the collar. 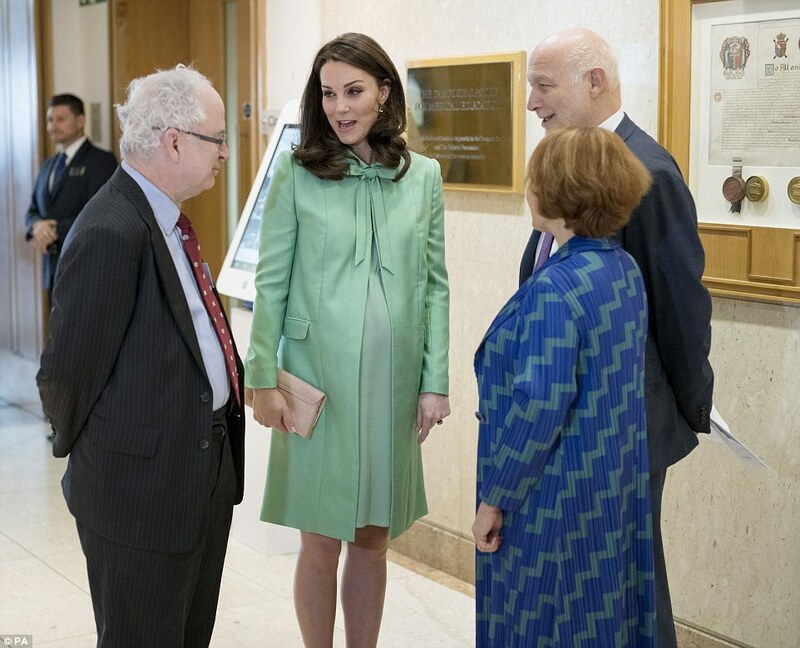 Wearing her favourite blush suede heels with the radiant dress, Kate, who is due early next month, was a stunning and glowing icon. Styled with a matching blush envelope clutch, diamond drop earrings and her sapphire-diamond engagement ring, Kate was all smiles as she made her way into the symposium.